Happy new year readers, hope you have all had a good break and done some riding, or some mechanic'n. 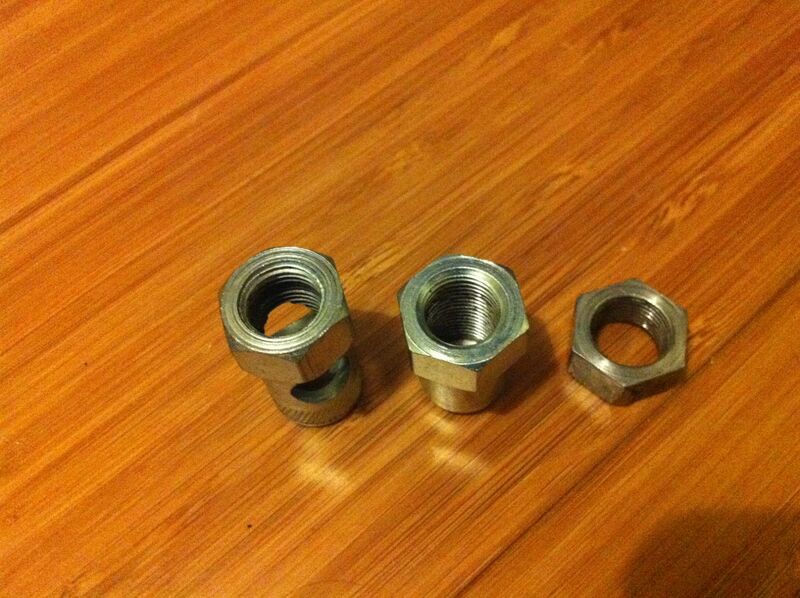 Continuing on from my last post where I managed to strip both rear axle nuts and find a broken low gear pawl inside the hub, I found a nice parcel from my favourite online shop for Sturmey Archer parts SJS Cycles containing two new axle nuts, a pair of new gear ring pawls as well as a few small bits and pieces. 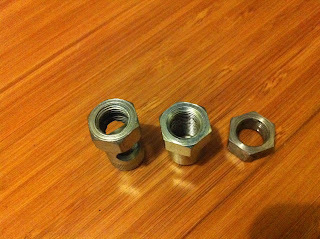 You can see in the pic above how much more thread the one-piece drive side nut and the domed non-drive side nut have compared to the plain nuts I rounded out before. I put the new gear ring pawls in and greased the whole thing back up with the proper Sturmey Archer internal grease, this stuff is really quite thin. I put it back together but noticed something very odd, there was a loud clunking rattle noise when freewheeling in high gear. You can see in the video below that this rattle caused the indicator rod to pop in and out which meant that the clutch was riding up and down over the pinion ends. This certainly didn't happen before and I had no idea why because I was using the proper grease, I disassembled the thing about 3 times and made sure it was all correctly assembled with all the pawls facing the right way. 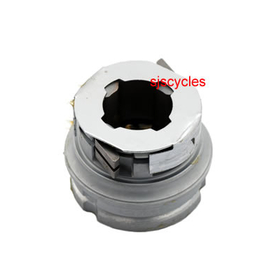 Eventually I figured out that the problem was grease related, so don't put too much grease on the inside face of the ball ring or the bit it touches on the gear ring otherwise they will stick together and you will get a horrible rattling sound in high gear. I thought it may have been the actuator on the driver (the thin metal plate cover shown below and numbered 19 on the exploded diagram) which is only seen on the later style Sturmey hubs, I fiddled with it for ages but there is only really one way to put it on. I initially thought it might be sticking or something, and loosened it a bit with no result. Later I figured out it has nothing to do with it really. 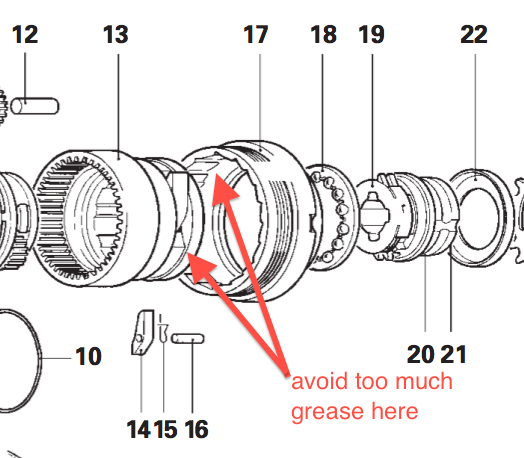 Then I figured it out, there was too much grease on the face of the gear ring (13) where it touches the ball ring (17), this caused them to stick together when freewheeling which would cause the planet cage (8) to spin the pinions (12) underneath the ramps on the clutch (34), which would make it bounce up and down against the clutch spring (35). Normally they shouldn't stick and the ball ring should rotate whilst the internals stay stationary, you should be able to hear both the gear ring pawls and the low gear pawls. 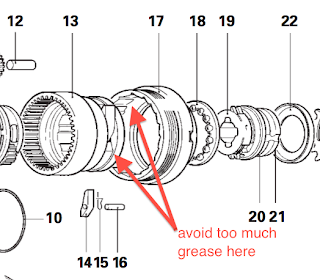 I knew my assembly was correct because all the gears worked perfectly, and I guessed it was grease related because it was very intermittent depending on how fast you spun the wheel. I popped it open for hopefully the last time and removed most of the grease from the gear ring face and the inside of the ball ring only leaving a little bit of grease on the pawls. I put it back together and voila! 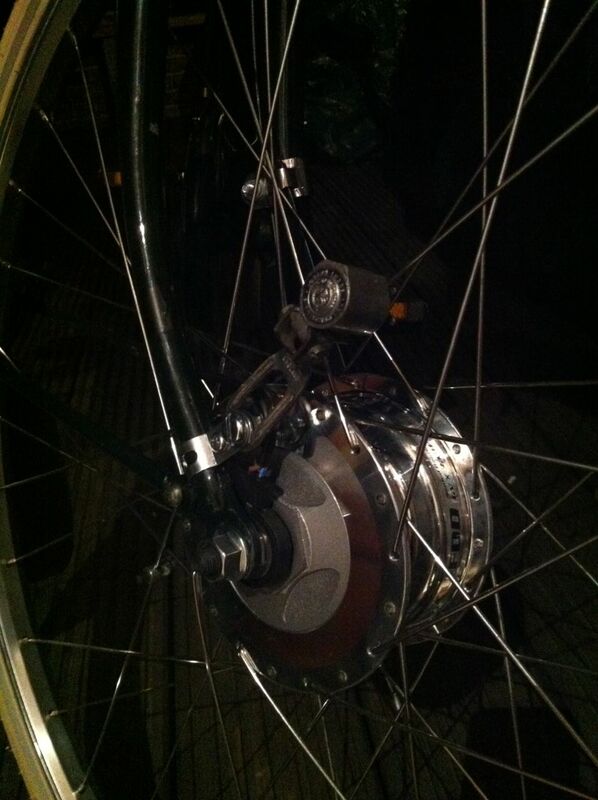 No more rattling and only a beautiful distinctive Sturmey Archer freewheeling sound! Another thing I observed was a change in the way freewheeling sounds in normal gear. When freewheeling in normal gear the clutch is pulled back into the gear ring, so the only consequence of the sticking is that the internals are spinning but you won't hear the gear ring pawls, only the driver pawls and the low gear pawls both of which are very quiet. 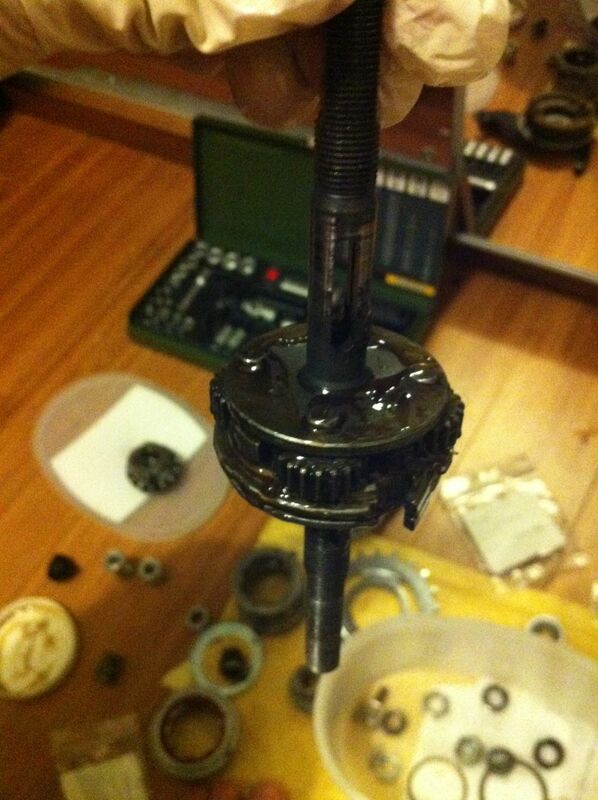 Cleaning the excess grease off means you can hear the louder gear ring pawls and the low gear pawls. This sticking problem doesn't happen on the older hubs because they are oil lubricated and have a different clutch and gear ring design. Since the drum brake conversion I removed the Lucas mileometer because the XL-FDD front hub is too large a diameter for it to reach the striker pin. I adapted a reaction arm clamp meant for the rear drum brake in a smaller diameter and attached it to a fork, it works quite well except it's a little less stiff. I've been riding it for a while now without the ticking sound, now that it's back I'm not sure if it will drive me nuts. Only time will tell... Otherwise the Raleigh Superbe is now back on the road ready to go. Now I can take a look at my bike.